The advent of new communication devices is progressively intervening numbers of traditional ways at home, in workplaces and in school. More schools around the world are now embracing the latest innovations as part of a newfangled education system. In Ireland, use of tablets and e-books in schools is now being instigated, gradually superseding the use of customary books for learning. About one-in-ten freshmen students in Ireland, started their school year with the so-called “hi-tech” gadgets like Tablets and e-Books, instead of bringing school bags packed with textbooks for school. According to an Irish school textbook publisher, the use of digital materials in schools is likely to reach 50% in three years. Nevertheless, while many schools opted for the latest digital alternatives, it should also be noted that these materials are somewhat expensive compared to the customary textbooks. Currently, it would cost €160 to €500 for a Tablet per student while e-text books for a freshman student would cost them up to €300. Unlike the traditional textbooks, students can no longer use these same materials in the next school level. Depending on the course, license of these purchased gadgets will expire in a certain date and time. Apparently, these materials cannot be recycled. On the other hand, some schools are also considering other ways of using technology and important e-contents that can be utilized in the classroom. Fintan O’Mahony, a teacher in Carrick-on-Suir, Scoil Mhuire is already authorizing her students to employ digital devices they often used at home including smartphones and laptops. Students are therefore, allowed to use any of these gadgets in class, specifically in their history subject. Even the use of Twitter is permissible. Several online contents associated with the present Irish curriculum are currently being developed and are offered to schools without any charges. A matter of this fact, a new resource had been presented this week by the Department of Education’s Scoilnet. This resource is designed for the benefit of the Geography students. The technology and content used in different agencies and state departments are currently being modified for use in school. Among these are the Ordinance Survey maps as well as census data for Geographical Information System for schools. The use of digital devices such as Tablets and e-Books in school is already becoming widespread these days. Besides the US and Europe, other Asian countries are already employing digital materials in school, as part of the modern learning system. 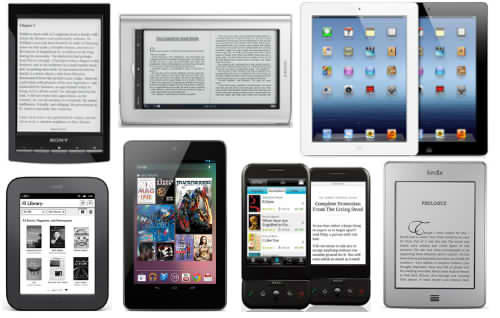 Aside from e-Books, the use of smartphones is also common. Yet, certain guidelines and restrictions should be imposed to warrant appropriate use of these gadgets in school. Frequent monitoring inside the classroom is also necessary to circumvent any form of abuse.